Meet three young stars igniting Los Angeles' queer art movement. 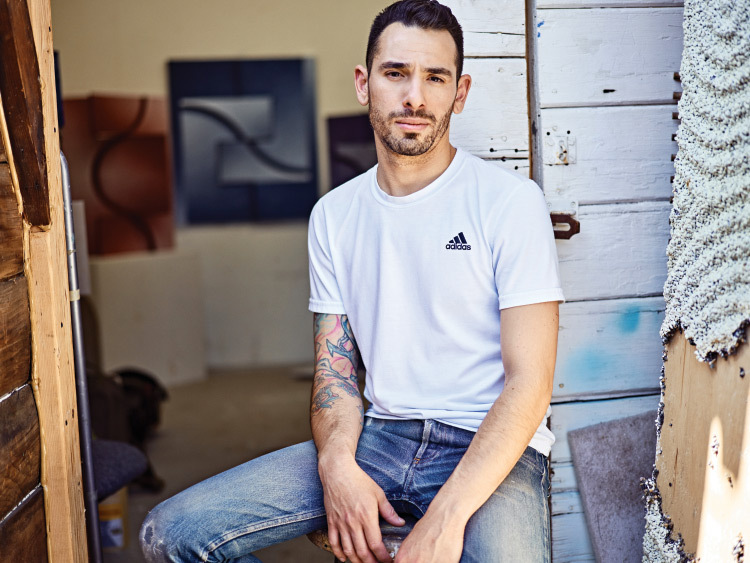 “I make works that engage with an art-historical trajectory that I both admire and have been completely excluded from,” says Los Angeles–based painter Amir Nikravan, who is of mixed Iranian and Mexican-American descent. His meticulously composed trompe l’oeil pieces toy with the legacy (and clichés) of abstraction. While his canvases appear to be heavily textured, they’re often completely flat—the result of a quasi-photographic process by which the artist creates a gestural painting, vacuum-wraps it with fabric, and then casts pigment over the surface, trapping what he terms an “indexical image.” As for the original, handwrought paintings, they’re not so precious—he simply throws them out.